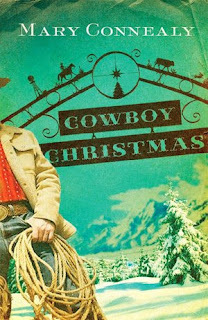 I got through Cowboy Christmas by Mary Connealy in about a day. I was given this book as a present this past Christmas. I was told that the cover looked like something I would like. I went through a massive western phase years ago and I still love reading Westerns. It was an ok read. It started off I thought really well. It dove right into the story, a little action, then it just kind of started to wain a bit in keeping my attention. I thought with the way it started off it wouldn't end up like a few previous stories I had read. I was wrong. Unlike Heinz Doofenshmirtz*, back-story isn't all that great to the story when it's told so many times over, especially when the reader sees it starting off the book. I just felt like I didn't need to hear about the same story over and over and over again. It was a bit much. The book keeps mainly to two different views, but does throw in an additional view here and there to keep the story going. 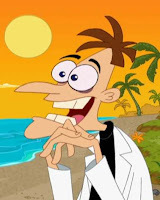 It took me a little bit to figure out who was talking in view because this character was not around much. It followed the same formula that many books in this genre followed. An independent girl, who is also meek, tries to do what she can, but really can't unless a guy, who she argues with constantly helps her. Happiness/fighting between the two continue, all while the girl tries to figure out how to get out of trouble without the guy finding out. When the guy finds out, betrayal then forgiveness and a rescue ensues. Over all, it is a good quick lite read. If you need to give your mind a break from the heavier books out there, then it would be good, but for me it's a not to read for the reasons above.